Spend Less Time Searching, More time Shipping with Best Reviews of Latest, Original and Authentic Products and Services. How many we had in from Google? 1, 2, 3…well, I can assure you that the list of Google updates never end in that. We had the following list of updates from Google in just 2 years. 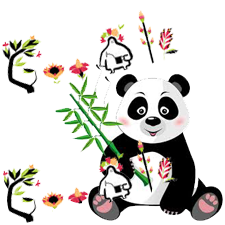 4 Panda updates including the new Panda 4 including the new Panda 4.0 update in May 2014. I have written a blog post regarding that. There are the updates that appeared in the public realm. How fortunate are we in blogging field? That is a question for discussion. You can get an answer from the following post. How Panda 4.0 update 2014 decreased website impressions and crawl rate? Anyway lets come to the topic. How to build a Back link booster after PANDA 4.0 update? The introduction of backlinks was in 1998. From 1998 onwards, almost all the Google algorithms and updates put the faith of SERP results in back links. Usually the trusted back links were from .edu links, .gov links, and links from trusted sources. These links from trusted sources were called trusted links. Bloggers or webmasters were very keen to link their websites with other trusted sources and some used automatic online softwares to do that. Actually, a term was derived for the web masters who were addicted to create back links and it was “Obsessive Compulsive Backlink Disorder”. That is when the idea of link building was altered by the origin of social networks. The beginning of social networks was very gradual with a sudden outburst in the later years. Orkut was first form of popular Social network and was replaced by the full-blown mania of FaceBook my Mark. Twitter was founded by creating a new way for sharing things. Then to challenge FB, Google of Larry Page introduce Google plus. The main idea here in social networks is that every day web user or anybody who has an internet connection and a social account is ‘building a link’. The concentration of link building changed from web masters to visitors. The duty of the web master changed from somebody who creates back links to somebody who motivate visitors to share the links. In 2013, SearchMetrics.com calculated the top rankings factors of web sites and they have found amazing results. The websites, which has higher number of Google 1’s, ranks first, following with higher number of Facebook shares. Google actually made Google pluses a solid ranking factor in order to push millions of Google publishers to use Google plus even though it does not have that much engagement by everyday visitors. They also used local business page to set up the local business page. Then higher number of Back links from trusted sources, Facebook.com total including comments and likes, Pins from Pinterest.com and finally Tweets from Twitter.com. From these elaborate explanations, you may be understood that there are no quickest and easiest ways to create a back link booster after PANDA 4.0 update. We can create a conceptual back link booster by imagining how better a website’s SERP functions if it has certain qualities like page speed, responsive design etc. If you want a page to rank in the Google search results, you can do the following. As you all know Panda 4.0 update struck so many websites including the most famous ones. I have written a detailed blog post related to the Panda 4.0 update. You can refer another post and find out how Panda 4.0 actually affected the website’s crawl rate and number of impressions. Panda 4.0 actually focused on blocking the spam content to rank higher in search results. That means the algorithm will detect the spam content in the post page of the website and block them from the search engine list. The terms “Panda 4.0 update link building” without quotes has about 5,52,000 results in 0.41 seconds and the top posts are posted in the website searchengineland.com. If we search for “Panda 4.0 update link building” with quotes we can see only one result under deborahdawui.com. Ones you tried to follow the results carefully, you could understand that some posts were gone several pages back losing their impressions and crawl rate. Panda 4.0 update usually understand the vulnerabilities of a websites and make bloggers crazy. It is very hard for the bloggers to understand what went wrong. And why my website is not ranking like it used to? If you have questions like this, then you are in the right page. I have shared my case study with you about how Panda 4.0 update affected a small website. I used to read some superficial posts regarding creating back links and focusing on getting number one rank in Google and suggestions like the following. Email the administrators of the websites and tell them that you have a great interest to share an awesome post and can they accept it for publishing. If they agree, then write a post that stand out in the crowd and not a post for sake of getting link from an author bio or image profile. You published your high quality post in a reputable websites in your niche and you got a back link. This works really of you write more than one time for the same website. That way Google can understand that you are not a spammer but a real author. There is as saying in my local place that if you want to know some secret stuff about someone, you better to ask to his neighbor. Just like that, Google will find out the neighborhood websites that share links with your website. You can use the neighborhood tool to find out the links. If you find some bad links, you should remove it and make the link structure more appealing. 4. Link your social media accounts like Facebook, twitter, Google plus, pin it, digg, MySpace in the author bio. I was not satisfied with it. Who will be satisfied with such suggestions like using good responsive design with top quality and original content can do wonders in your SERP results. I could not find anything new or moving in these posts. So I have found out some “out of the box” back link sources that can do some wonders in your SEO rank and SERP results. Have you ever thought of arranging an SEO workshop for web masters and professional bloggers. That way you can creative and amazing suggestions and contacts. You can email them and ask for 10 minutes of interview. You can ask interesting questions to them and publish the interview in your blog. You can Google trend, Google search results, Google Analytics and Google knowledge graph to create awesome case studies and present it with detailed explanations. Everybody loves freebies. You just need to know how to mix freebies with appropriate content. You can also give away PR website URL's like Bubblews.com . Bubblews.com has pa page rank of 4 out of 10. If you have any other awesome innovative ideas, kindly share it in Facebook or Twitter. Usually people forget audio sharing websites that have tons and tons of ranking energy. You can just sign up with these websites, upload some music and add the website URL in author bio or website address. Some bloggers says that link building in 2014 do not have validity as Google introduced Penguin to find unnatural links and Panda 4.0 to find out spam content in websites. However, link building is relevant even after Panda 4.0 update. If a website get a link from a trusted source including .edu sites, .gov sites or websites like Forbes, Huffington post, Search engine land etc, it will have a positive impact on the search engine rankings. IF the website got a negative neighborhood, flagged as negative, or spam, there will be changes in the search engine rankings. What most bloggers did in April 2014? Bloggers wrote 300 words article with a keyword rich title. Then they published the post and shared it to social networks using different accounts in Facebook, Google plus and Twitter. Then they built more than 300 unnatural links with various anchor text in diverse blogs and websites. Some bloggers invited guest posts from newbies and built links. Others advertised to get posts like those that one post equals to 1 dollar and gave contract to industrial scale link building services for building links. After the updates from Google, bloggers and webmasters are trying to get various ways to rank in search engine. Most of them abandoned the tricks like black hat SEO, unnatural Automated link building, stuffing keywords in posts and meta tags, link wheels, link hubs, link begging emails, blog networks, three way links, tiered link building service, 301 redirects. These negative techniques and low quality link building strategies exist like an epitaph in internet. The best way to get good original content is to think, search, and research. and if you are publishing good. However adding relevant out bound links can make a website traffic go high. I'm Akhil, founder of Ship Me This, a social work professional and expert consultant for NGOs, social enterprises, social start ups and CSR wing of companies. You can contact me for freelancing, consultancy and tutorials. Calculator Vault is a godsend app for anyone who want to protect their privacy, lock installed apps, hide private images and hide private videos from children, friends, Girlfriend, wife, family members!.